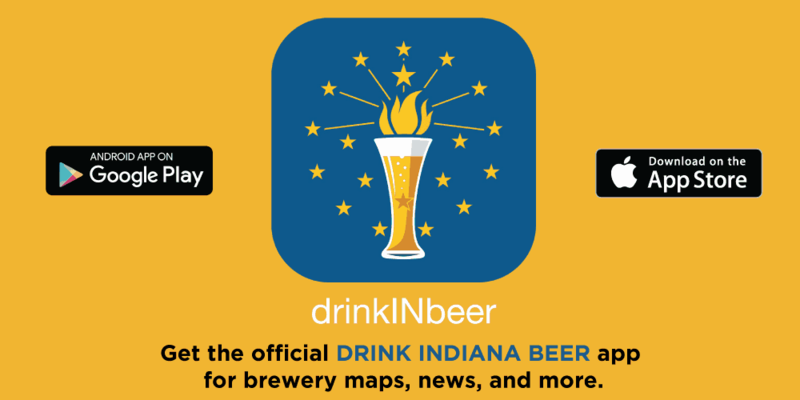 Download the Drink Indiana Beer app today in the App Store or Google Play and find out about Hoosier craft beer events, new breweries, brewery specials, and more. 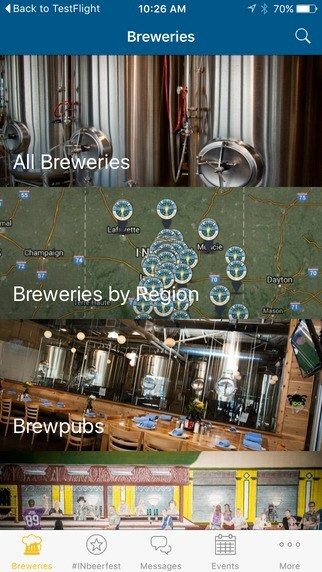 The Drink Indiana Beer app is the official guide to the state’s 135+ breweries and is now available for both iOS and Android devices. 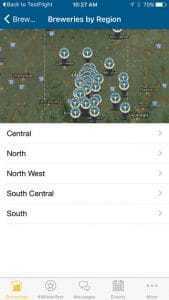 Near Me: Traveling? 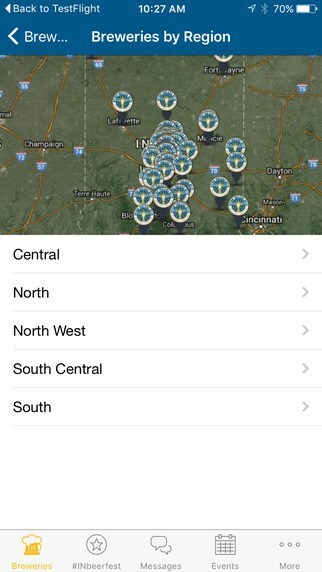 Find out which breweries are closest to you and whether they’re open. 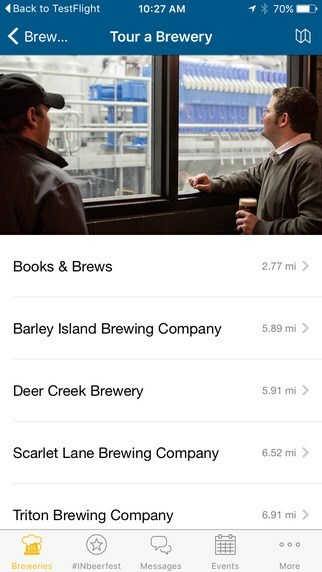 Maps: Get turn-by-turn directions to all of Indiana’s craft breweries. 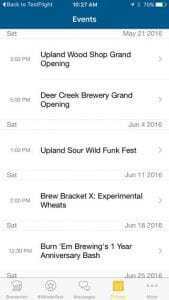 Exclusive news: Be the first to find out when tickets go on sale for Brewers of Indiana Guild festivals, the only beer fests in the state that directly support Indiana craft brewing. Social: Communicate directly with the breweries with one-touch access via phone, Twitter, Facebook and more, and share your experiences on social media. 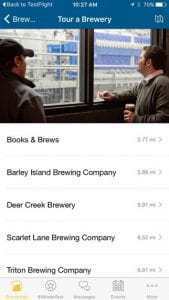 Faves: Take notes about the beers you try and keep a list of your favorite breweries. 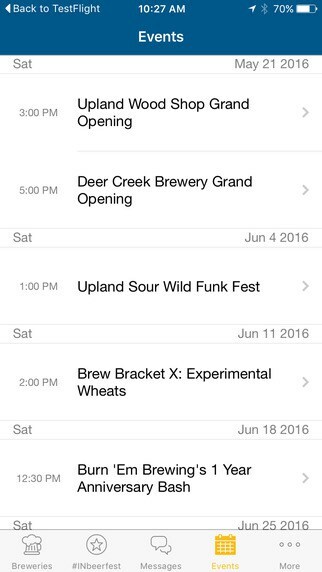 Events: Find out about brewery openings, anniversary parties, bottle releases, and more. 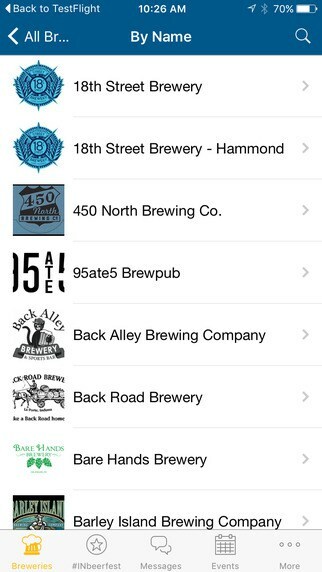 The Drink Indiana Beer app is maintained by of Brewers of Indiana Guild, the non-profit trade association that represents the state’s craft brewing community. 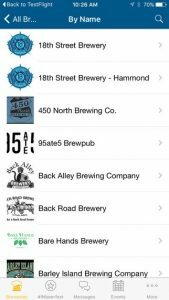 We want this app to be useful for you and beneficial for our state’s breweries, so please contact us with feedback or questions.